Warm your toes with this class! Learn about the parts of a sock and the skills needed to make a perfectly fitted sock from cuff to toe. You'll learn techniques that apply to knitting of all types - including sweaters, gloves, even hats and shawls! 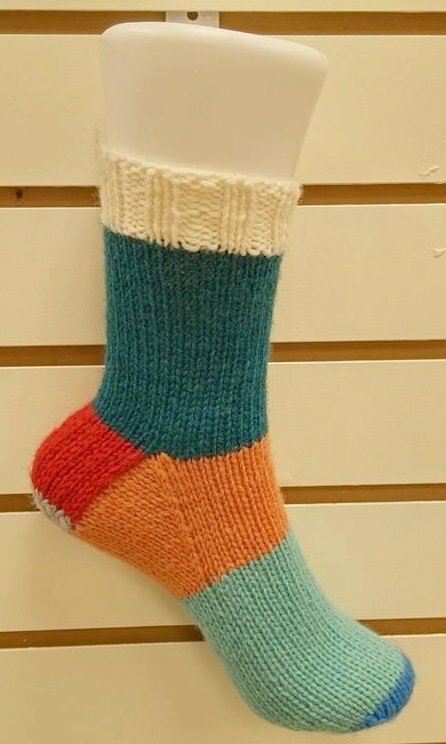 Plus, handknit socks are more comfortable than any sock in any store! Supplies: 100 grams of worsted or DK weight wool yarn, size 5 or 6 double-pointed needles (DPNs), darning needle, scissors, measuring tape.